This Diwali it will be a super quirky nail art designs for sure. Just that I will throw in some glitter and shimmer because Diwali is all about sparkles. My favorite festival is here and I am so thrilled! I have shortlisted 2 gorgeous outfits and the looks have been worked out too! As for my nails, this time it will be a super quirky nail art designs for sure. Just that I will throw in some glitter and shimmer because Diwali is all about sparkles. Nail art is a super way to break out of the monotony of the solid color nail paint. 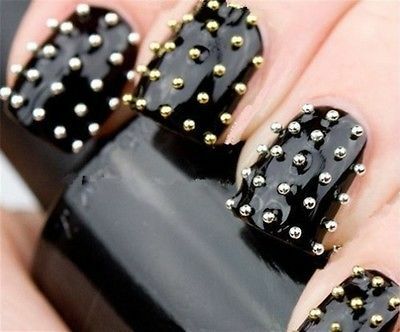 Besides, a quirky nail design can be flaunted so well. It says a lot about someone’s personality. Whether its your love for delish cupcakes or your adoration for our very own incredible hero – Superman, there is so much scope for experimentation. Even for those lovely ladies who are in love with Angry Birds, you can wear some cool and quirky nail art designs at the pre-Diwali bashes! Whether its pop colors, punky pink, dash of crystals-glitters, contrasting colors or an awesome combination of black and golden, just make it a point to be creative. Who doesn’t like glitter. It spices up an otherwise boring day. Here is how to add different types of embellishments to enhance your nail art design. In fact, you can combine 2 or more techniques to achieve some amazing results. Foil your nails: Brush your nails with the adhesive and let it dry. Now, press on some foil with it’s glossy side up. Now peel back foil backing and apply topcoat. Glitter: Use a clear nail paint and dip the brush in the glitter pot, apply it on the nail tip. Follow it up with a top coat. 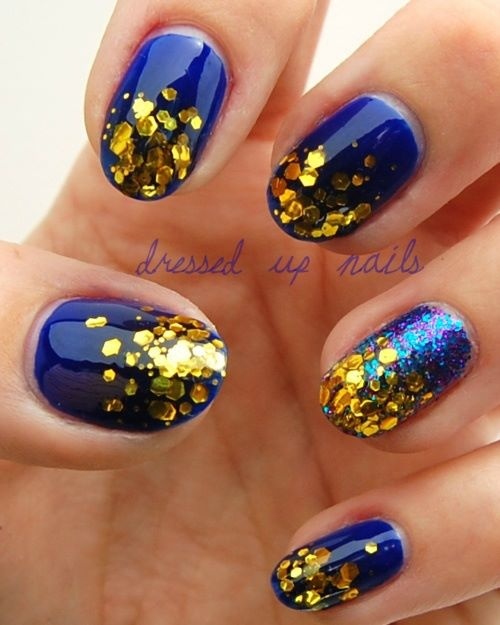 You can just about paint your nails with the glitter or add it as an embellishment. Gold leaf: Use a toothpick/plucker to pick and place it on the nail. You can be very creative with gold leaves. Scatter them or make patterns of your choice. Back it up with a nail art sealer. Opt for glitter tips, half moon glitter, glitter sandwich or glittery nails. Whatever you like, but be sure to seal it with 1 – 2 top coats or nail art sealer. This will ensure your nail art lasts longer. Here is your bible of cute, quirky and festive nail art designs that are bound to set a trend at the cards parties! Wish you a fun-filled and funky Diwali! Most importantly, stay inspired.